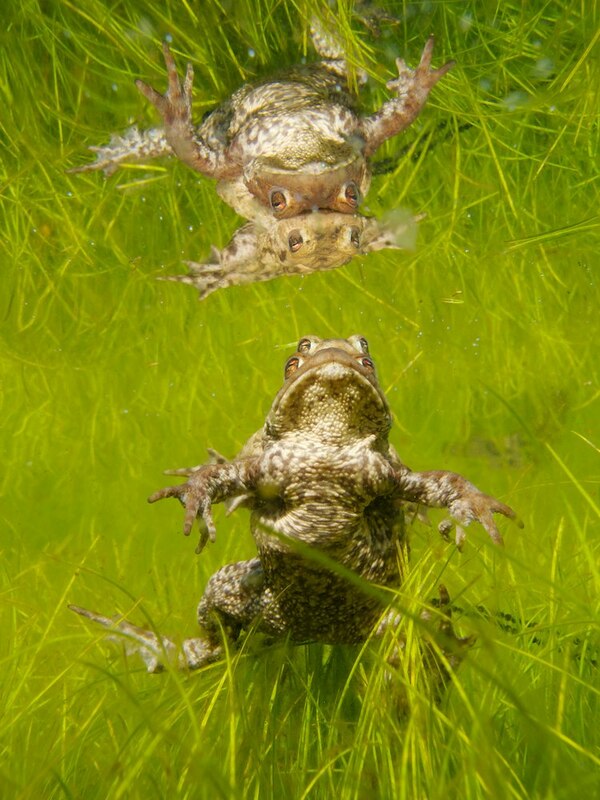 As temperatures are steadily rising again, Common toads (Bufo bufo) and Common frogs (Rana temporaria) will soon gather in a variety of ponds for their yearly moment of reproduction. If a male toad survives the murdering traffic on his journey from the hibernation ground to a suitable pond, he is not yet sure if he will be able to find a mate. Tens to even several hundreds of other males will be waiting along with him, to compete for the less abundant females. 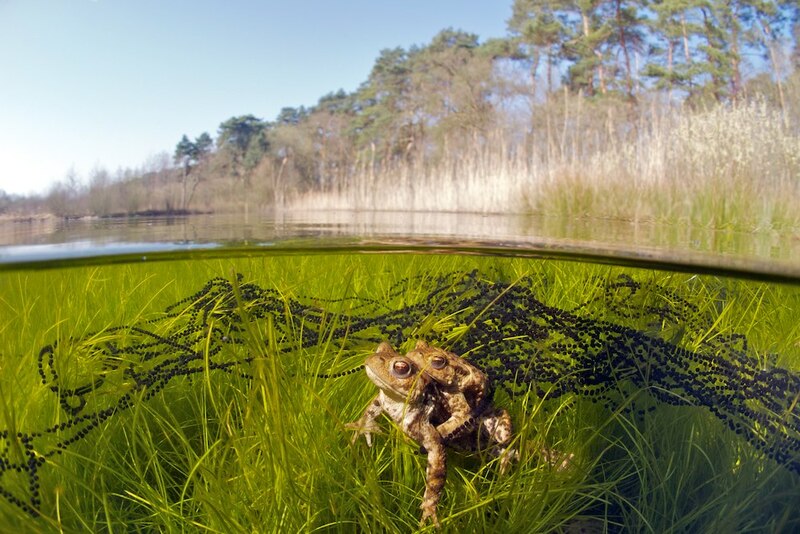 The male toads will jump on anything that moves of approximately the right size, including fish, other amphibian species and even human fingers. When successful, the male will jump on the female’s back and clasp her tightly in her armpits, a behaviour called axillary amplexus. The pair, led by the female will then search for a suitable oviposition site, where they will deposit a long string of eggs. The male, hitchhiking on the back of the female, will need to kick off intruders with his hind legs, as other candidates will try to steal his comfortable position. 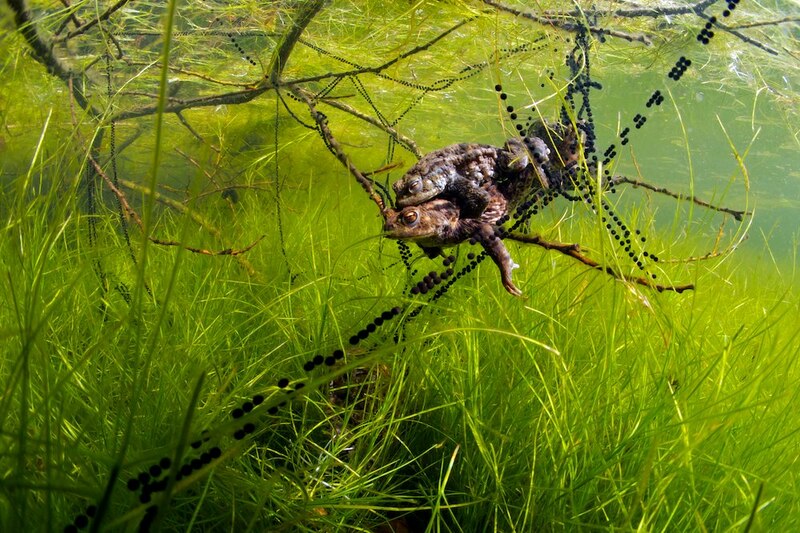 As the fertilization of the eggs happens externaly in most frogs and toads, the amplexus helps to juxtapose the male and female cloacas and as such a high fertilization rate is obtained. 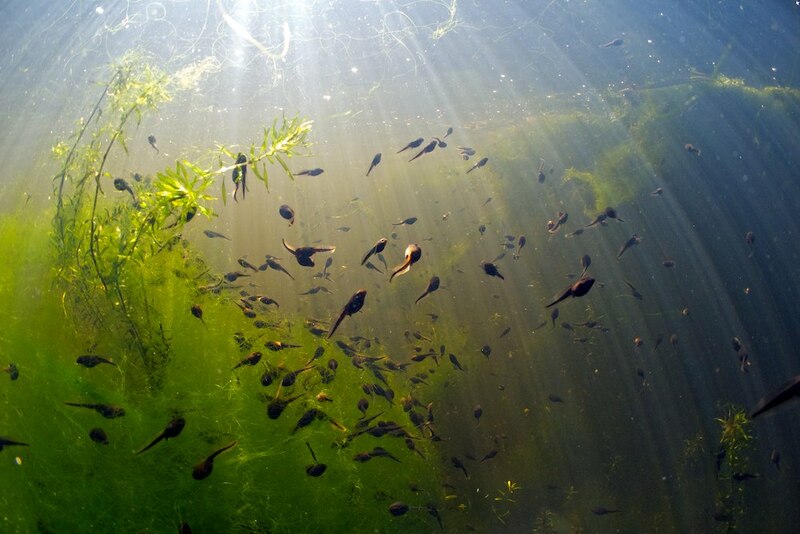 After hatching, the newborns will spend the first weeks of their life as tadpoles. Only the ones that survive the aquatic environment where predators are abundant, will make it to metamorphosis. 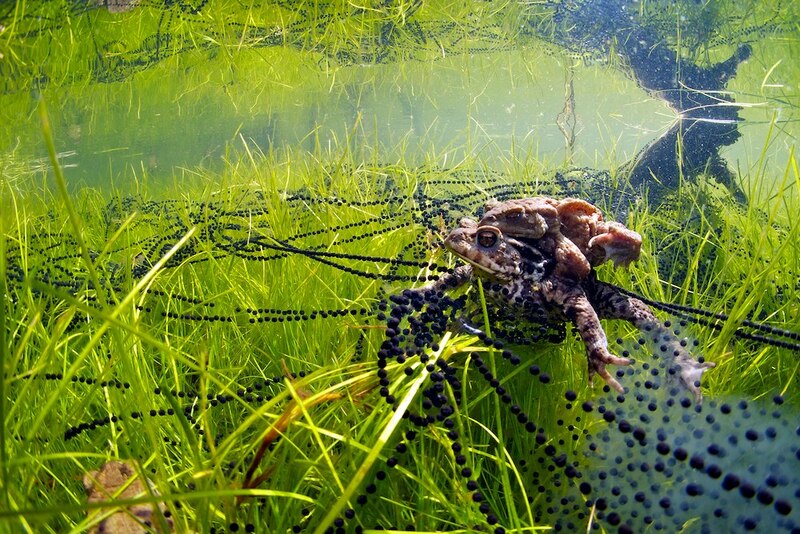 So from the thousands of eggs deposited, only a small percentage will continue their life as toadlets on land. 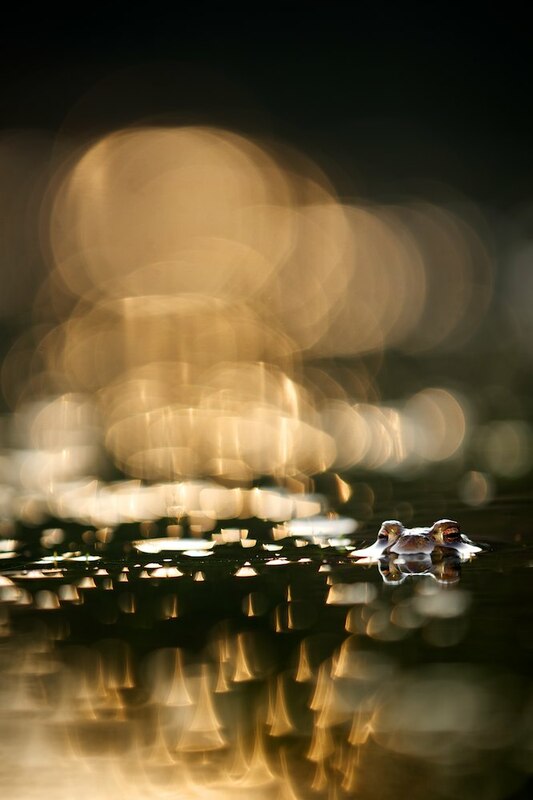 Last year I visited a pond where Common toads were reproducing and was able to photograph them along the process. Below are a number of last year’s pictures. 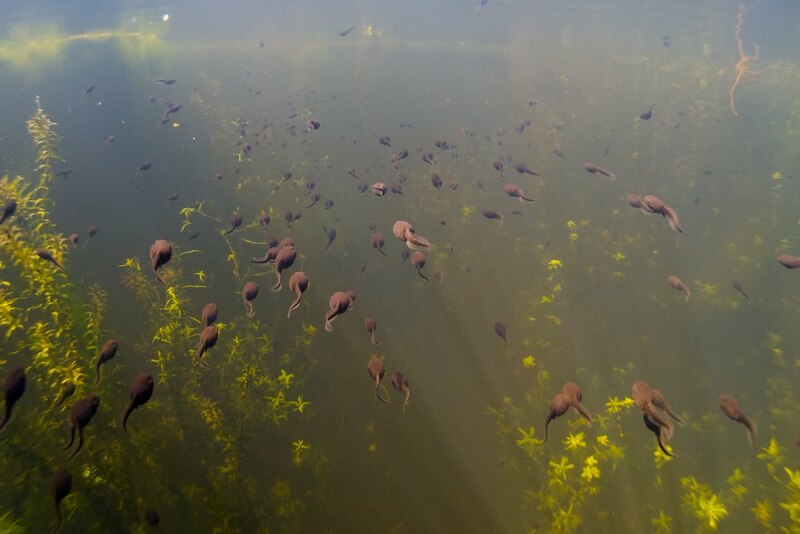 Tadpoles can often be seen swimming in large schools. 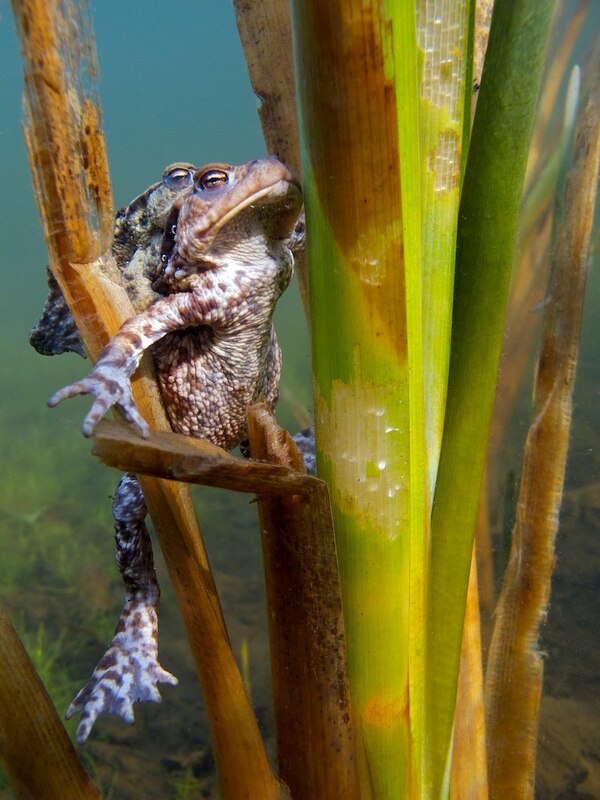 This entry was posted in amphibians, Europe, frogs and toads, underwater. just saw your awesome toad photos. Would you allow me to use them in some of my my lectures ? I would be sure to include your copyright credit on the slide.